March 2018 – As seen in Hotel Management magazine. When the delivery truck crashes into your hotel lobby, who pays for the new wall? If the truck hits your guests, who covers the medical bills? What does your delivery agreement say? What agreement? It matters. Today, hotels are so focused on revenues and profits from guests and groups that they neglect their vendor agreements. But vendors are repairing your elevators and delivering your food and wiring the stage in the ballroom. Whatever could go wrong? It is not very convincing in court when you hold up a Post-it note that you claim is the vendor’s indemnification agreement! Your vendors should maintain insurance that covers damage to your property and injury to your guests and others. Your vendors must also maintain insurance for their own employees, such as workers’ compensation and employer’s liability insurance. Contractors performing work should have insurance that protects against damage to your building and even the loss of revenues if they cause significant problems. Each situation is different and may require other protections. Action item: Collect and review insurance certificates and make sure you are listed as an additional insured or named insured. Too often, you’re the deep pocket stuck paying the bills when a vendor goes broke. Your hotel can be held responsible for money due to employees of vendors, especially if you supervise the work. For example, if you outsource cleaning but oversee the crew, you could be liable for their wages—including massive amounts of overtime comp and legal fees. Action item: Get confirmation your vendors are paying their bills. You can’t be too safe with security. Hotels are regularly sued because of assaults on guests, especially where management is negligent. Significant liability can result from mistakes with guestroom access. Special precautions are required for vendors of access-control software and devices. Action item: Require vendors to maintain special insurance, conduct background checks on personnel with access and agree to indemnify you from lawsuits. Your contract may look good on paper but bad everywhere else. You need special provisions to get vendors into court in your home state and liable for payment of your bills. Action item: Check the credit of important vendors by running Dun & Bradstreet reports and reviewing financial statements. You may even want a personal guarantee. If empty rooms are a problem because they hurt your revenues, don’t forget that a lousy vendor agreement can cost your hotel a fortune. Action item: Put that on a Post-it note. The rest goes in the contract. 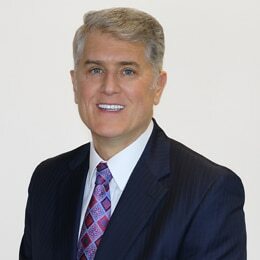 Jack Garson is the founder of Garson Law in Bethesda, Md. 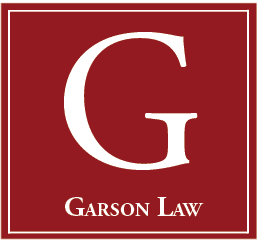 Contact Garson at jgarson@garsonlaw.com.